Micromax Q383 Stock Firmware ROM (Flash File) download for your Micromax Android Smartphone. Included contains Flash Tool, USB Driver, and how-to Flash manual instructions. 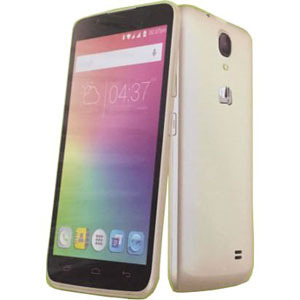 Micromax Q383 running on Android v5.1 Lollipop version which is manufactured by Spreadtrum SC7731 CPU. Use SPD Upgrade Tool for flash Firmware on this device. Step 1: Download and extract Micromax Q383 flash file on your Computer. After that, you will find SC7731 .pac Firmware inside the folder. Now open SPD Flash Tool and click on Load Packet button in Flash Tool then select the .pac Firmware file. Step 2: Install SPD Android USB Driver on your Computer (skip it if the driver already installed). Now click on Start Downloading button in Flash Tool for begin the flashing process and connect your device to the Computer using USB cable by hold pressing Volume Up or Down button in power off mode. Step 3: Wait until during the downloading process at this time don’t disconnect your device from Computer. It can take up to 5-10 minutes for completed. After done you will see a Passed message in Flash Tool.